Moore, John E. (1975). Jane's Fighting Ships 1974-1975. Watts. pp. 432-433. ASIN B000NHY68W. Prezelin, Bernard (1990). The Naval Institute Guide to Combat Fleets of the World, 1990-1991. Naval Institute Press. pp. 799-802. ISBN 978-0870212505. Saunders, Stephen (2009). 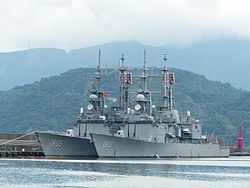 Jane's Fighting Ships 2009-2010. Janes Information Group. p. 787. ISBN 978-0710628886. Sharpe, Richard (1989). 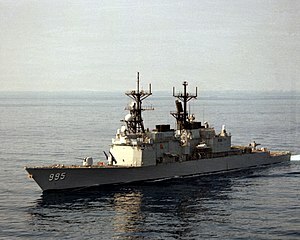 Jane's Fighting Ships 1989-90. Janes Information Group. p. 727. ISBN 978-0710608864.